A brisket sandwich from Costco's food court. Leftovers. Bacon, leek, and potato soup. Just as good - if not better - after a couple reheats. Bagel with crunchy peanut butter. Tuna salad (home made), with beets and sweet potato crackers. Pepperoni, sausage and anchovy pizza. Lunch was our main meal today, and was had at Tia Juanita's in Beaumont. 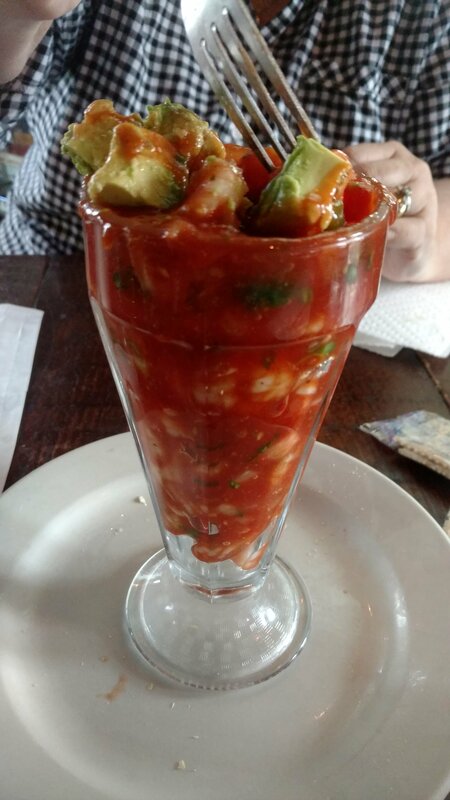 We started with a shrimp cocktail, and I had to take this pic in a hurry because Ms Sweetandsour was taking all of the avocado. 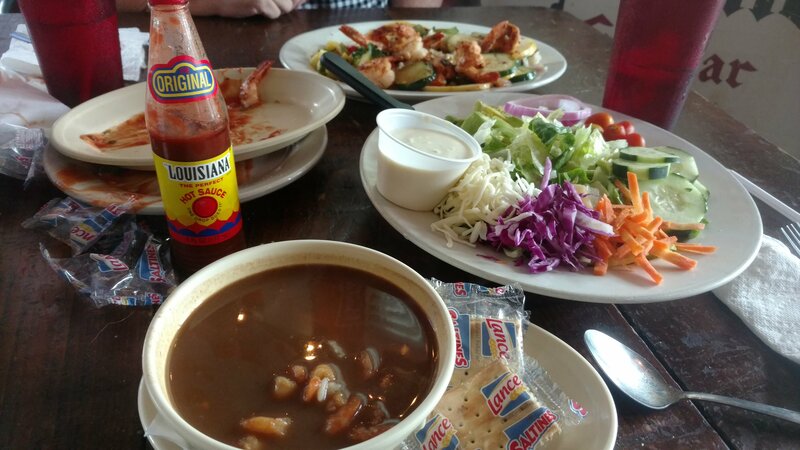 But soon the meal was served: grilled shrimp, pico with pineapple, shrimp gumbo, salad with bleu cheese, etc. We made a mess of the table. 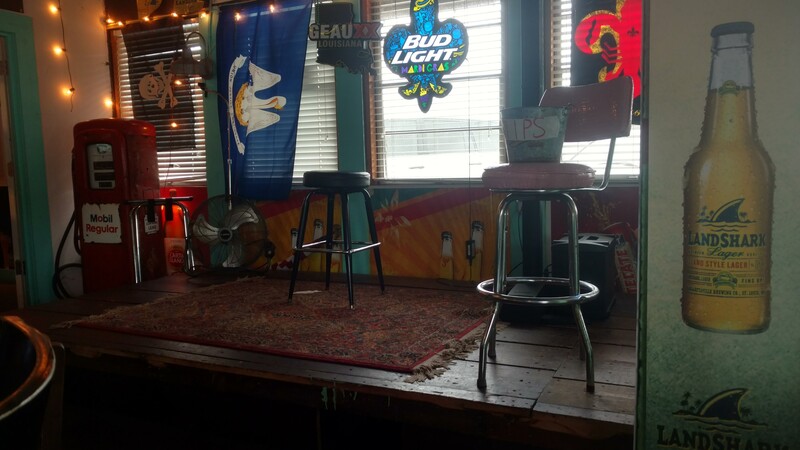 We sat next to the small stage, since no one was playing at noon-time; and I was wondering what the deal was when the place got Rick Rolled with Never Give You Up. But afterward it was back to some SRV, so all was good. Med sandwich on pita bread, chips, and pistachio baklava. We made tacos last night so lunch will be leftovers. Going to lunch with co-workers...Beer battered fish and chips! Tasteless hot house grown orange bell peppers and ersatz string cheese. Yesterday's blood sugar was 107 . I figure this tasted so bad, it's got to be healthy . Roast beef sammich and potato salad from home. Leftover home made smoked meatloaf.